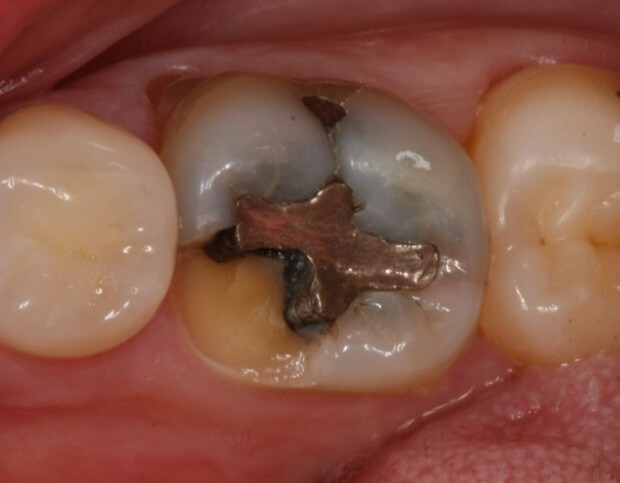 It this article about failure of amalgam restorations, we will explain the etiology of the amalgam restored tooth fracture, clinical picture, causes, etiology and methods of treatment. 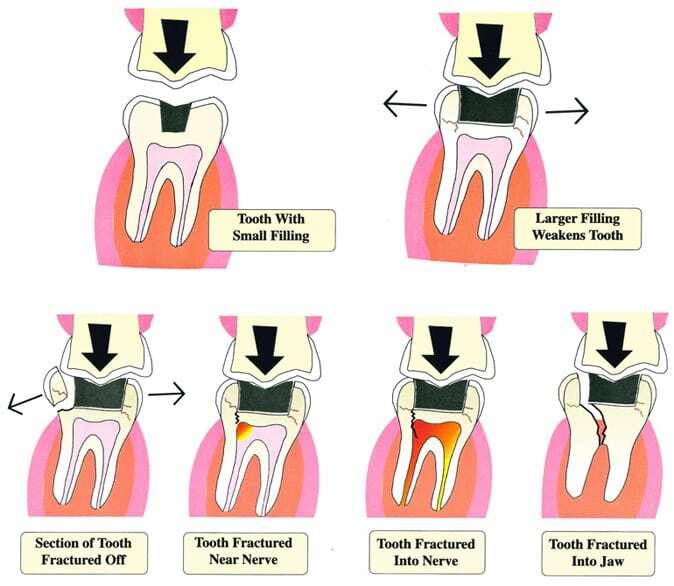 Fractured cusp or ridge under functional forces due to lack of support and reinforcement in the restored tooth. 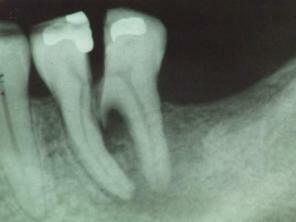 Amalgam lacks sufficient tensile strength to support remaining tooth substance and much less able to re-enforce weak cusps and ridges. Thus it leads to a worst outcome if the restoration is relatively large leading to less support of remaining tooth structure. 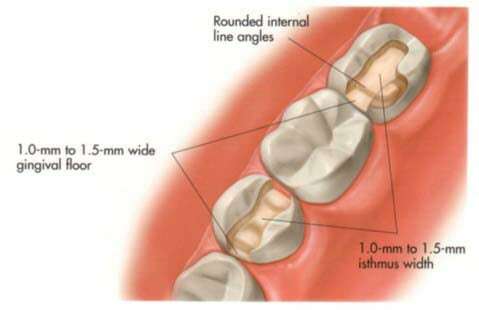 Eliminate all undermined enamel as well as weak cusps and ridges. Ensure wide distribution of stresses. Reinforce weak cusps and ridges using inlays, onlays or full coverage.